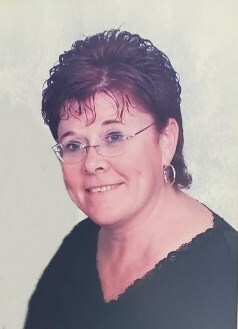 Pamela Ann "Pam" Baze 62, of Quincy passed away at 1:30 a.m. Monday (April 8, 2019) in her home. Born May 22, 1956 in Fresno, California, Pam was the daughter of Harold and Margaret Poe. Pam married David B. Baze on March 16, 1974 in Quincy. Pam was a 1974 graduate of Quincy High School. She was a member of Madison Park Christian Church and the National Boat Racing Association and the Outboard Driver's Association serving as the treasurer for both organizations. She traveled all over the United States with her husband doing Hydro Boat Racing. She cooked for all the drivers and was well known for her chicken salad. Pam enjoyed gardening, hunting, fishing and painting and rearranging the furniture in their house. She also collected elephant and rooster large and small figurines. Pam was currently operating a Daycare from her home which she had done for over 10 years. Survivors include her husband, David; a son Donald E. Baze (Kimberly) of Granger, IN, a daughter Danille R. Baze of Quincy and a son Bradley D. Baze (Jonnette) of Payson; twelve grandchildren Jerrod Snow, Jordan Snow, David Baze, Matthew Dade, Austin Baze, Mariah Baze, Corban Baze, LaShawn Dade, Hunter Church, Coleton Baze, Logan Church, Jazmine Walker; one great granddaughter Karlie Baze. Also surviving is one brother Guy Poe of Quincy; seven sisters Mary Mueller of Quincy, Margy Monetti (Tim) of Quincy, Carol Poe of New York, Maxine Harris of Illinois, Tonya Everett (Mike) of North Carolina, Barbara Vaughn (Dave) of Mendon, IL and Tamara Wright (Jeff) of Quincy. Mrs. Baze was preceded in death by her parents, a step mother Barbara Cook-Poe and a brother Dale Poe. Funeral services will be held Saturday afternoon 1:30 p.m. in the Zehender Robinson Stormer Cookson Funeral Home with Pastor Chuck Sackett officiating. Burial will be in the Payson New Cemetery. Visitation will be held Friday evening from 5:00 until 7:00 and Saturday from 12:30 until the time of services at the funeral home. Memorials may be made to the Quincy Volunteer Emergency Corps.